The magical world of the night owl artists is rich in quiet and free of daytime distractions. Less phone calls, emails and text messages. Traffic dwindles to a shadow of it's former self and coffee becomes a late night luxury. Some artists work at night and others in the day. Whatever works for you as an artist and fits your schedule is the "way to go" but let's look at the benefits of working at night. 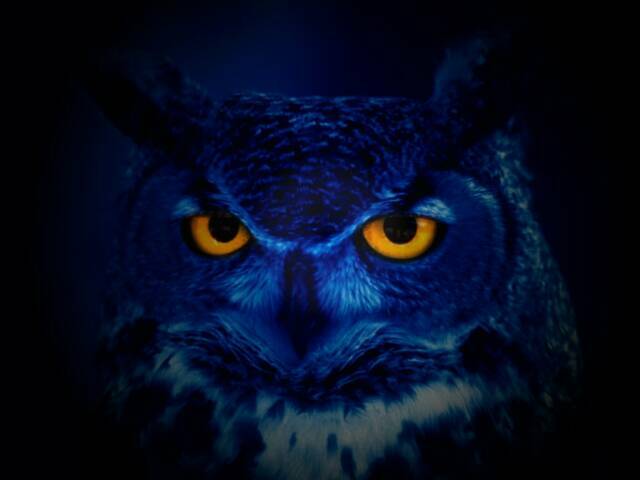 Sometimes you need a change - maybe you can try being a night owl and see how it works for you. 1. Audio Visual Calmness. Sound and light can be very overstimulating for some of us and depending on your creative space and it's location there are times when it can be too distracting. At night the world becomes a softer place when it comes to sounds and light. Glaring sunlight and noisy traffic reduce to a minimum allowing a sense of calm and focus. 2. Visitors. Sometimes my studio sees 3 or 4 studio visitors in one day, and though I love studio visitors it does break up my work session. At night my work session can be unbroken by visits and I can take many natural pauses in my process to think carefully about what I'm doing. 3. Brain power. Some artists experience a great mental release of the day, all tasks and responsibilities are complete, now there's time for creativity. With all tasks behind you there is more mental "real-estate" , nothing in the back of your mind like a computer running too many programs at once.